As one of the biggest risks at present is being tied to the economic cycle how does growth and the economy look in this late stage? What have national and international political shocks meant for the US real estate and mezzanine lending industries? With choppy, low deal volume and inconsistent deal flow which is normally experienced in pre-crisis times, will we see market volatility and private equity firms entering the market to accelerate deal flow? If we do have a volatile market within the next two years what are the implications given the current existing structural levels of loans? Will we see mezz lenders foreclosing and how much CRE could a mezz fund own? As the cycle continues what will be the key challenges for equity and debt investors? Luann Gutierrez is a Managing Director for Greystone’s Healthcare team of the Portfolio Lending Group’s bridge financing to FHA/HUD, Fannie Mae or Freddie Mac permanent financing, where she has worked at Greystone for 12 years. Her team also offers mezz financing and/or A/B financing structures. The collective Bridge team has closed $4.2B in loans since FY 2004, with $3.6B since FY 2012. Ms. Gutierrez previously, served as Vice President and Senior Healthcare Underwriter at GMAC Commercial Mortgage for 8 years and underwrote over $1B in healthcare and/or Seniors Housing loans. Prior to GMACCM, Ms. Gutierrez spent 9+ years at Bank One holding various roles in the commercial lending section including managing a $250B+ Mortgage Finance portfolio. Ms. Gutierrez is a graduate of The University of Texas in Dallas with a BSBA in Accounting. Peter Smith has served as our vice president and our Manager’s head of originations since November 2016. Mr. Smith is a managing director of TPG and a member of our Manager’s investment committee. Mr. Smith has more than 25 years of commercial real estate debt financing experience, including transitional loans, mezzanine loans, long-term fixed rate loans, loan portfolio acquisitions, and workouts and restructurings. Prior to joining TPG in November 2016, Mr. Smith was a managing director at Ladder Capital focusing on loan originations. Mr. Smith’s prior experience includes senior positions with Credit Suisse, UBS, Credit Suisse First Boston and Heller Financial. Mr. Smith is a graduate of the University of Michigan from which he earned a B.B.A. in Accounting. • Which asset class is the most capital going to and how is this affecting mezzanine loans? • What has been the result of a plethora of new entrants including foreign capital and capital chasing fewer deals? What does it mean for pricing and credit/covenants? • Will the trend of the last 3-5 years from subordinated debt players moving to debt fund providers continue? Jason leads the originations platform in the Americas for Nuveen Real Estate and is focused on further expanding the firm’s third-party real estate debt business. Prior to joining the business in 2018, Jason was a managing director at ACORE Capital where he led a team responsible for the sourcing and execution of structured finance investments, including mortgage, mezzanine and preferred equity. As one of the initial employees of ACORE, he helped grow the firm from a start-up, to one of the largest private lenders in the United States, with $9 billion AUM in just under three years. Jason has also held a number of roles at GE Capital Real Estate. Most recently he was a senior director in the strategic capital group focused on whole loan origination with institutional clients. Jason graduated with a B.S. from Illinois State University and an M.B.A. from The Wharton School. He is a graduate of the GE Capital Financial Management Programme with roles including finance, underwriting and M&A and is a member of Commercial Real Estate Finance Council. Where is the use of preferred equity in lieu of mezzanine debt required? What are the key proprieties of lenders whilst structuring loans? How are regulatory developments in this space affecting loan structuring for mezzanine and high yield debt lenders? Mr. Fineman has more than 20 years of experience in the commercial real estate business. At ACORE, Mr. Fineman is responsible for originating, underwriting, structuring and closing commercial real estate financing opportunities, and for managing originations for the Eastern Region. 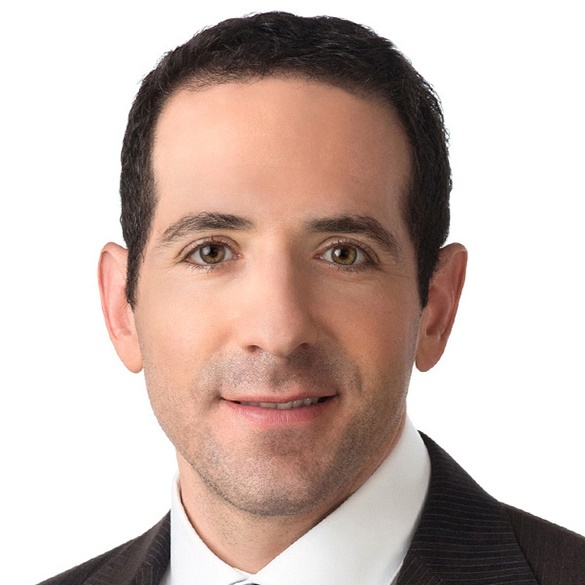 Prior to joining ACORE, Mr. Fineman was an Executive Vice President with Brickman and a principal at Hillcrest Finance, where he was responsible for originating, underwriting, structuring and closing equity and debt investment opportunities, and financing new and existing equity investments. Prior to Brickman, Mr. Fineman held various positions in commercial real estate finance including a senior role with Wachovia Bank, where he managed, structured and closed more than $25 billion of complex commercial real estate finance transactions often involving multiple lenders and tranches of debt, and a role as a banker with Nomura Securities in the mid to late 1990s. In addition to his finance experience, Mr. Fineman has also spent a significant amount of time on the equity side of the commercial real estate business where he was involved in the development, ownership, management and operation of commercial real estate, including in senior roles with Centres Inc. and Terranova Corporation, and in his time with Brickman. Mr. Fineman began his career in commercial real estate as an attorney representing institutional and private clients in a wide range of commercial real estate transactions, including finance, acquisitions, dispositions, leasing, development and land use. 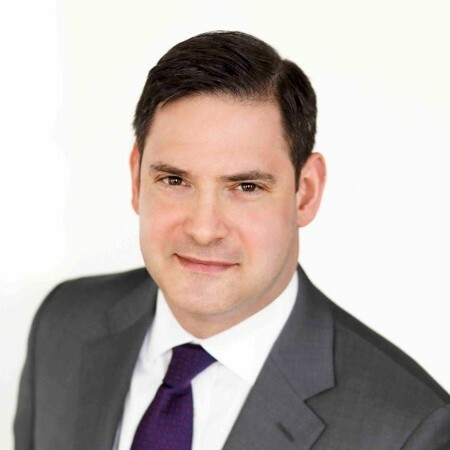 After college and prior to law school, Mr. Fineman spent several years at IBM Corporation as a marketing representative. Mr. Fineman received a B.S. in Electrical Engineering from Drexel University and a J.D. from the University of Florida. Mr. Fineman serves on the board of enCourage Kids Foundation. Mr. Fineman is married to Lori and they have two children, Mia and Rocky. Is the US a sweet spot for property debt investors? What challenges are Managers and Investors running into, and how are they overcoming them? what is the appetite of national and foreign investors? Does appetite vary as investors base varies? Recent trends in demand from retail and institution investors? Will these trends continue? What are the financing challenges and how are they being resolved? For over 30 years Mr.Garrido has been directly responsible for arranging financing and acquisitions in excess of €1.6 billion. These activities include financing for major luxury urbanizations, multi-family, hotels and other asset classes. Among the many luxury urbanizations that Mr. Garrido has helped finance includes Sotogrande, the first urbanization to hold the Ryder Cup outside of the U.S.A and the UK, Montecastillo Golf Resort, San Roque Club and Doña Julia. Outside of Spain Mr.Garrido has helped finance La Moraleja (Argentina) one of the major factory producers of lemon in the world for the CocaCola Company, Cap Cana (Dominican Republic) a luxury urbanization supported by The Trump Group, as well as Green Valley (Panama) an eco-friendly resort and Gran Natal Golf (Brazil). His clients have included some of the largest real estate developers in Spain and Latin-America. Mr. Garrido is a member of the National Association of Real Estate Investment Trust (NAREIT), member of the European Public Real Estate Association (EPRA), member of the Commercial Real Estate Finance Council (CREFC) and member of the Urban Land Institute (ULI) at the Madrid Chapter. Mr. Garrido is country Manager in Spain for The Conference Board of New York since the past 20 years, President of the Spanish Association of Financial Advisors, President of the Business Confederation Europe-Africa and President of the Spanish Golf Course Owners Association. Mr. Garrido is board member of the Financial Club of Genova in Madrid (Spain) and the Madrid Association of Economist, member of the Spanish Institute of Financial Analyst, the Spanish Association of Finance and the Spanish Association of Executives in Business. Mr.Garrido holds a bachelor degree in LAW and a bachelor degree in Business Administration from the Jesuits University in Madrid. Mr.Garrido is an official Chartered Public Accountant of the Ministry of Economy in the Spanish government and a professor of the Complutense University in Madrid. Jeremy Burton is responsible for the sourcing, underwriting, and execution of loan opportunities. Prior to joining Calmwater in 2018, Mr. Burton was a Vice President at Garrison Investment Group in New York responsible for Garrison’s commercial real estate debt platform. While at Garrison Mr. Burton was also involved in the acquisition, underwriting, and asset management of $2B of non-performing CRE and C&I loans. 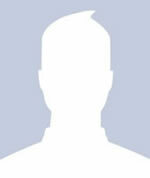 Mr. Burton began his career in the commercial real estate banking group at Anglo Irish Bank in New York. Mr. Burton received a BA in Economics with a minor in Business from the University of Colorado – Boulder. Daniel Ross Berman counsels and represents investors, developers, operators and financial institutions in a range of real estate transactions, including acquisitions and dispositions, financings, joint ventures, and developments involving commercial and multifamily properties nationwide. Many of the transactions Dan handles involve complexities beyond typical real estate deals, including unconventional deal structures and distressed situations. Among his most notable work, Dan represented an owner of Broadway theaters in the sale of a mixed-use building in Times Square, with the seller retaining ownership of the landmarked theater currently at street level. As part of the purchaser’s redevelopment of the property, the purchaser intends to lift the theater by up to 30 feet above its current location to allow for retail space at street level, and will renovate the theater for the seller. Dan also represented a residential leasehold cooperative, which was facing an untenable increase in rent payments under its ground lease, in negotiating its acquisition of fee title to the land beneath its building, including the complex financing arrangements needed to complete the transaction. Legal 500 US (2010) described Dan as possessing “uncommon business acumen” and “superb problem-solving skills.” He has also been recognized as a Rising Star by New York Super Lawyers from 2011 through 2016. Dan is a member of Kramer Levin’s Pro Bono Committee. Alongside the networking luncheon, the event will be holding an interactive luncheon workshop to allow you to drill deep into a specific issue, network with executives facing similar challenges and connect with industry experts. Disruptive ideas in commercial real estate – what are people thinking, how and what? How can disruptive technologies make the system more efficient, is there room for ML in the commercial real estate sector? • What does it mean for banks and life insurance firms? • What does an increase in debt funds mean for pricing long term? • What are the Implications for issuance volume in Collateralized loan obligation (CLO) market? • Do debt funds benefit borrowers from a structuring and pricing standpoint? Clogging the Equity of Redemption – Is it the end of Mortgage Financing? What is Clogging the Equity of Redemption? What market players are taking both a mortgage and a pledge? What is the effect on a true mezzanine lender? How has this affected the Intercreditor negotiation? What has been the effect on the market since HH Cincinnati Textile L.P., et al. v. Acres Capital Servicing LLC, et al.? • Mezzanine loans with back-end economics (equity kickers, profit sharing, etc), where are the opportunities? • Increased cap rates as an opportunity, is preparing early the key to maximizing opportunity? Mr. Nuzzolo is the head of real estate underwriting and is a member of the structuring, underwriting and credit team at Brevet. Prior to Brevet, he was at Alvarez & Marsal, LP as a senior director. He performed portfolio evaluation and restructuring, asset sales, mergers and acquisitions due diligence, securitization, and litigation support. Mr. Nuzzolo advised REITs, banks, funds, insurance companies, pensions and government agencies on real estate equity and debt matters in excess of $100 billion. Prior to Alvarez & Marsal, he was at CIBC World Markets Corp as a director and transaction Manager. In this role, he analyzed commercial real estate properties for the purposes of debt financing and acquisitions ranging in size from $3 million to $250 million. He managed all aspects of loan underwriting and closing including client management. 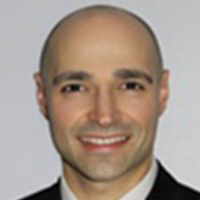 Prior to CIBC World Markets, Mr. Nuzzolo was an associate at Deloitte where he performed valuation and advisory services in connection with acquisitions, dispositions and property financing. Mr. Nuzzolo has a B.S. in Mechanical Engineering Technology from Northeastern University and an MBA, Finance from Fordham Gabelli School of Business. To what extent will it unleash new opportunities for non-real estate investors? • What are the main challenges within these sectors (retail, construction, condos)? • How were deflated loan purchases on land purchases and life style centres with declining sales financed? • Were higher prices/rates the consequence? • Did you go for lower leverages as a result? • Where was finance sourced? Paul Vanderslice was appointed the CEO of CCRE in July, 2018. Prior to that he ran the CMBS Group at Citi and was the head of its Commercial Mortgage distribution efforts. In this capacity, he was involved in Citi’s loan originations for both Conduit and Single Asset Single Borrower (SASB) deals. He was responsible for the pricing, hedging and oversaw Citi’s new issue securitization efforts. He also oversaw Citi’s Agency CMBS and warehousing businesses. Mr. Vanderslice has been involved in CMBS and real estate lending for over 25 years .He was previously President of CREFC (2012/13) and currently serves on its Board of Governors and Executive committee. He has an undergraduate degree from Boston College, is a CPA and has an M.B.A. in Finance and Management from The Wharton School at the University of Pennsylvania. Brian Carey is an Executive Director in the CMBS group at J.P. Morgan. Mr. Carey’s primary responsibilities include the origination, pricing, structuring and syndication of subordinate commercial real estate debt including mezzanine loans, B-Notes and rake bonds. In addition, Mr. Carey arranges syndications of mortgage loans to a wide variety of domestic and international institutional lenders. He previously focused on CMBS capital markets including the ratings and structuring of new issue SASB and conduit CMBS deals on a principal and agented basis. Mr. Carey joined J.P. Morgan through the 2008 merger with Bear Stearns. At Bear Stearns, Mr. Carey was responsible for the origination and underwriting of commercial mortgages on all property types throughout the United States. Mr. Carey earned his B.A. in Economics from Williams College. Peter Smith has served as our vice president and our Manager’s head of originations since November 2016. Mr.